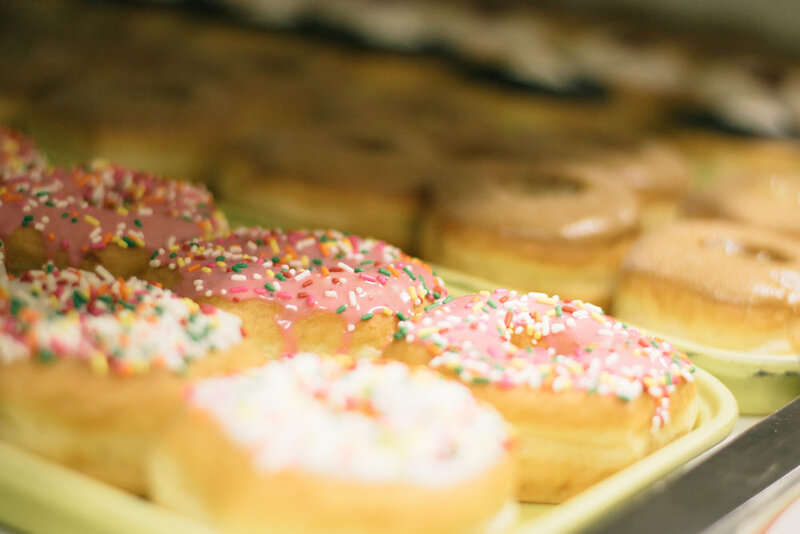 Fray’s Donut House has been proudly serving the St. Pete area since 1993. 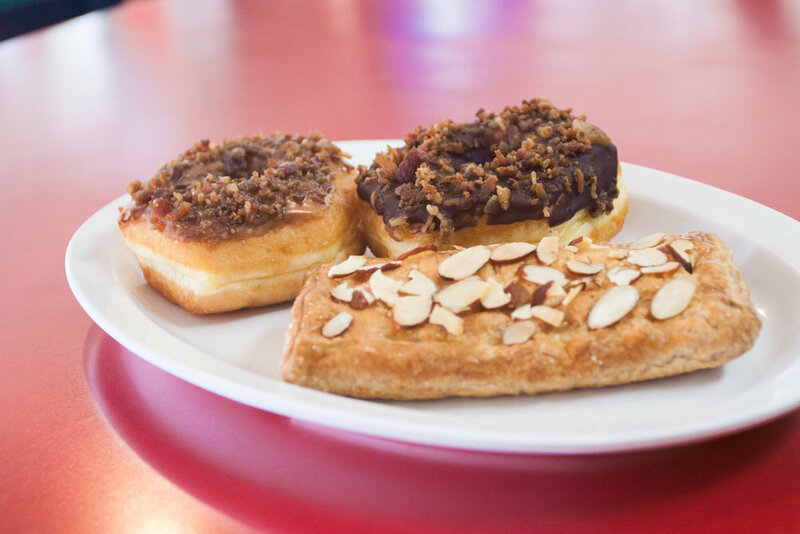 Our mission has always been to provide excellent service and delicious donuts every single day. We only use the freshest ingredients and our donuts are handmade with care and pride. 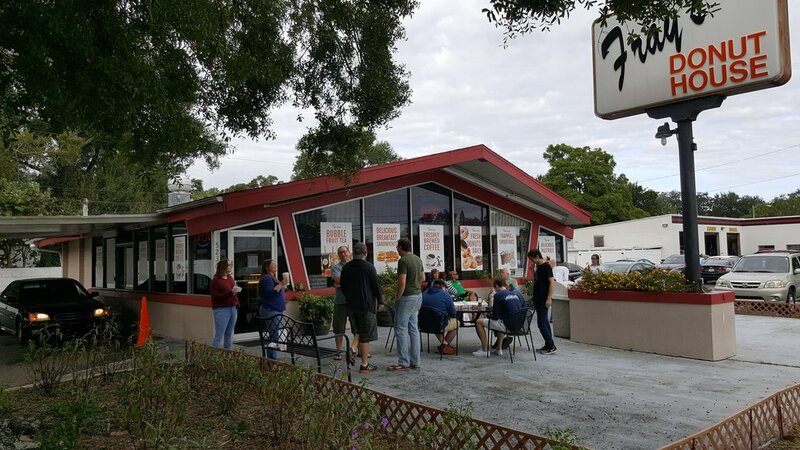 The Original Fray's Donut house located on 5236 16th St N, is your one-stop shop for fresh-brewed coffee, pastries and delicious breakfast sandwiches! Let us cater your special occasion with a Party Tray from Fray's Donut House! Bridal and Baby showers, Birthdays and more! 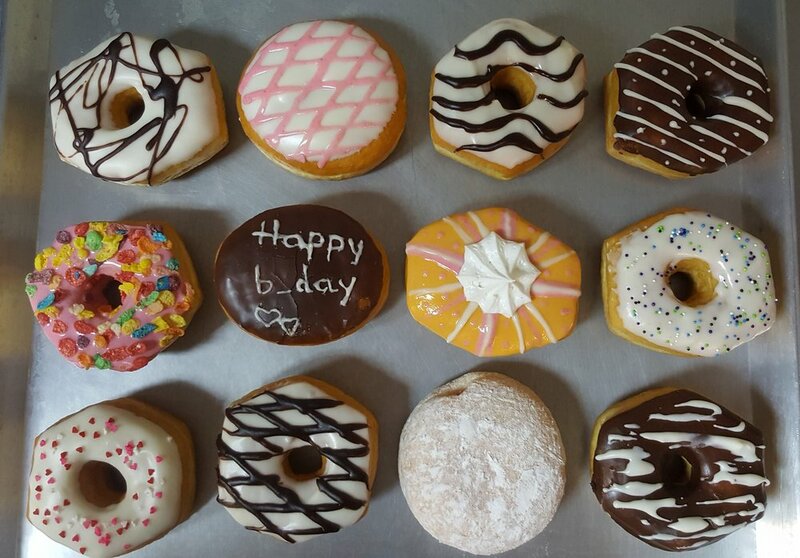 Free Donut and Coffee on your Birthday! We got a dozen donuts to bring to the office for Friday fun day. The prices are reasonable, the selection is extensive and the donuts are TASTY! I also like the unique options they offer such as the mini donettes and to-die-for cinnamon rolls. — Lauren C.
Since I came here last time, I’ve been there many more times. Egg and cheese croissant has become my favorite! I like that I can call in from work and order and my food is ready when u get there. Great customer service. 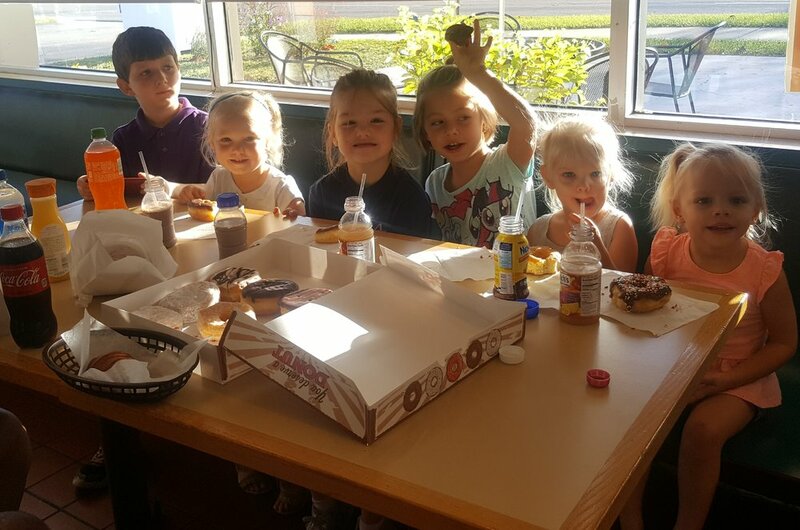 — Yana W.
Was craving an old school mom & pop donut this morning – Fray’s did not disappoint! Coconut raised was light but chewy with homemade ICING (not frosting from a can); Powdered sugar Bavarian cream was rich and not at all short on filling. Location was clean and we received absolutely delightful service. Well worth the stop, will be back again when we pass through St. Pete! — Emily H.
Super delicious donuts. It was such a treat in st. Pete’s. We will go back again when I visit. I also loved the old school feel to the shoppe. — Michele L.
The place is peaceful, quiet, service is good and the donuts are awesome. 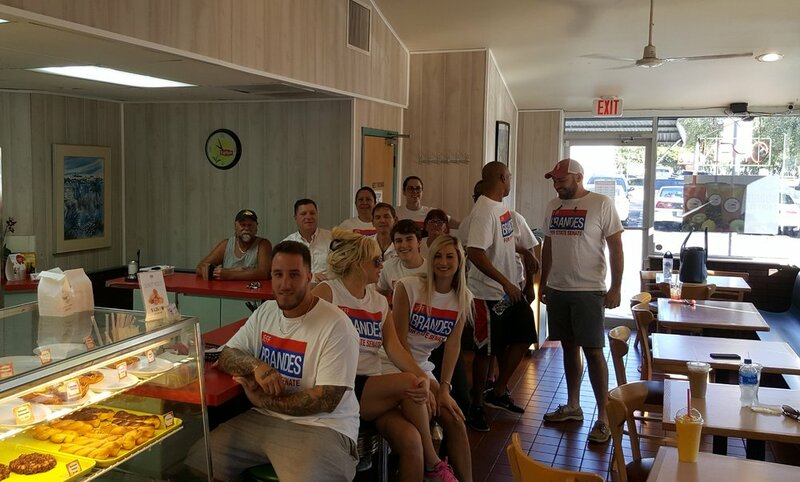 You get to meet interesting people, unlike other donuts shop, people come and go, mind their own business. — Bill H.
Just like the old donut shop that I grew up visiting. Nothing fancy, just good ole donuts and coffee. They also have a drive thru that makes it more convenient! — Chandler H.
Fresh-brewed coffee, breakfast sandwiches and everything in between — Check out our full menu! Copyright © 2017 Fray's Donut, Inc. All Rights Reserved.